Think about spreading the information about your product or brand and the first thing that knocks your mind is Internet. Be it any kind of information, people can have an easy access to it through Internet. So, if you are running a business and looking forward to promote your product, what better approach would be there than digital marketing? Yes! The process allows you to get in touch with your potential customers located all over the world. But, are you aware of how the customers can affect your business? Well, all that matters is a positive customer feedback about your product or brand. Right? However, don’t forget the other side of it. If you have the plethora of happy customers in your kitty, there might be some unsatisfied customers as well who can harm your business badly. So, how are you going to avoid this? 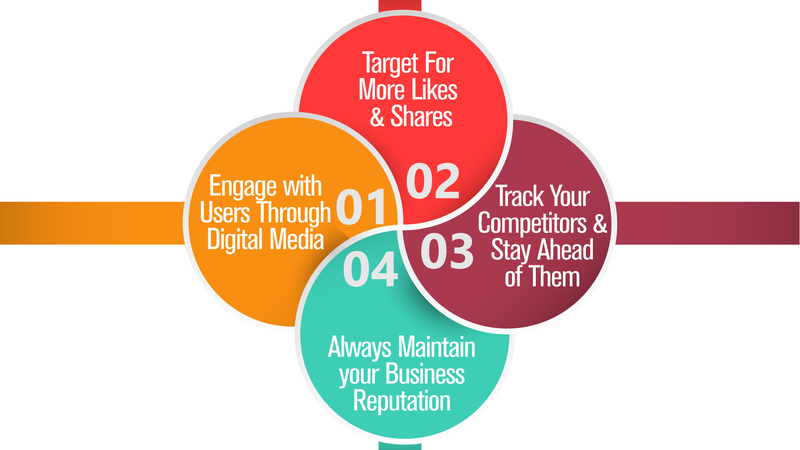 Given below are the significant points which you must consider in order to implement an effective digital marketing. Just think and analyze what your actual motive is? At the end, you would want to have new clients in your kitty. Right? Well, you can do so by being active on various social media channels. Just make sure to create different client groups as per their interests. So, go ahead, interact with them, and boost them to take an appropriate action. Social media, at times, is underestimated which turns out to be a big mistake for a business. Yes! Be it Facebook likes or twitter shares, they play a major role in enhancing the credibility of a business. Moreover, the more the likes and shares, more would be the traffic of the website. So, how will you achieve your target? Well, you can do so by inserting a social media plugin to your website. Make sure to update your clients with all the latest news & discounts on a regular basis. Just follow the process and achieve great results. Do you find your competitors more effective when it comes to marketing the products? Have you noticed what makes them more efficient? Is it due to their special focus on social media, SEO, or Google Adwords? Though you might find it difficult to compete with large-sized businesses, you can still get ahead of them by monitoring your competitors. Use Google Alerts tool to track the strategies applied by your competitors. Make an attempt to learn from their effectual strategies and implement them to enhance your marketing strategy. Make sure not to overlook the reputation of your business. A business cannot survive without gaining the trust of the clients. Obviously, a client would like to go for the company that has maintained good reputation among the people. Moreover, this allows you to deal well with the highly competitive industry in an efficient way. Wondering how to attain this? Well, all you need to do is interact with your clients and make sure to clear all their queries in order to build a long lasting relationship with them. All in all, keeping in mind the above discussed points would help you grow your business to a great extent. ‘Mamsys Consultancy Services’, in order to provide an effective digital marketing services, strives to consider all the significant prospectives that are essential to attain a booming business.